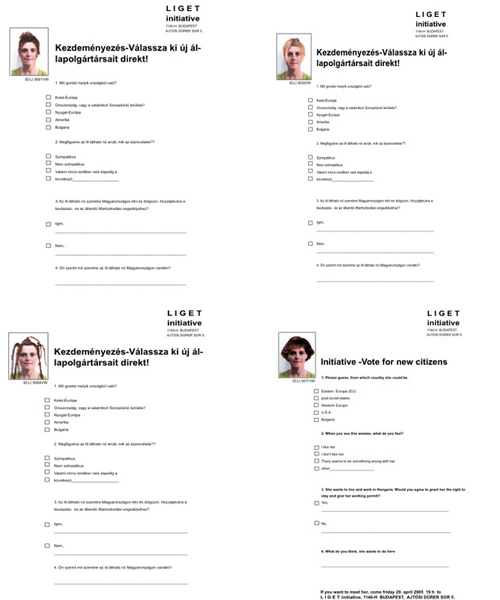 copy and paste transformed the „Liget Galeria“ into a fictional „Liget initiative“, whereby a survey was conducted on four days on the streets of Budapest. Central to the project was the assertion, that the inhabitants of the Hungarian capital would be free to decide on the admission of immigrants. Passers-by in the streets were encouraged to fill out a questionnaire whereby they were asked to judge a woman’s heritage and intention of immigration merely by looking at a picture of her. Furthermore, they were asked to judge the effect of her appearance and name their terms of her immigration. Apparently there was a photo of a different woman every day. Actually, the photos were always manipulated photos of the artist herself. Veronika Witte manipulated these photos of herself using stereotypes to push reactions. 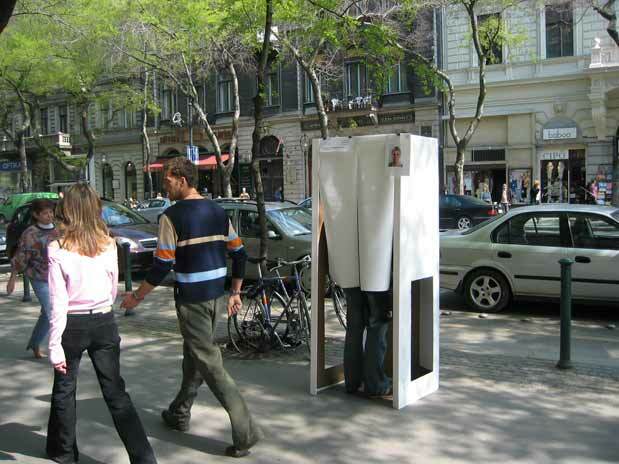 A voting booth certified by the EU allowed the participants to vote in an anonymous and protected environment in public. 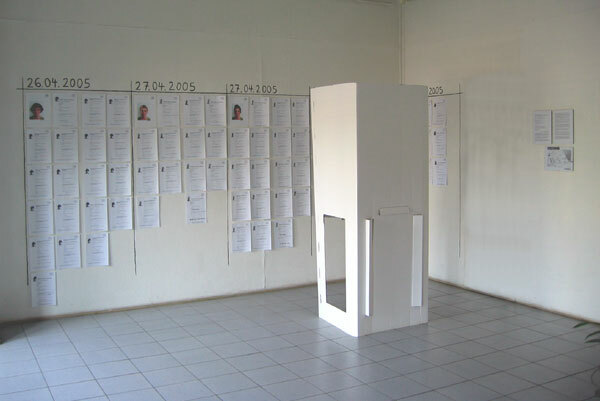 The voting booth was an irritation and a temporary sculptural intervention in the public space of Budapest.